A 5-year-old boy was found safe Friday afternoon after he was abducted from an Alexandria Metro station by his father, Metro Transit Police say. 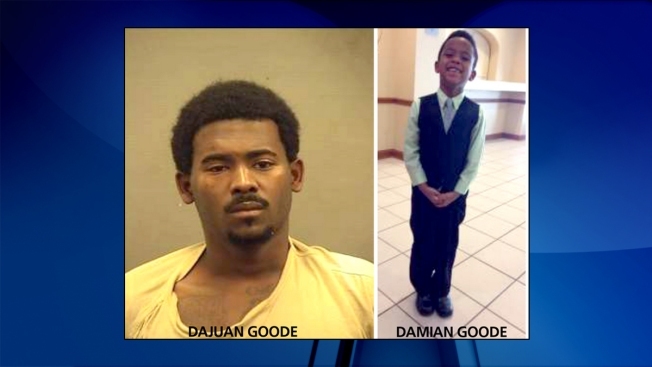 Police say Dajuan Goode abducted his son, Damian Goode, from the King Street Metro station at about 8:15 a.m. Friday. Investigators say Dajuan Goode threatened to pistol whip the boy's mother while on the platform of the Metro station. The woman told police that the suspect owns a gun. Dajuan Goode was taken into police custody around 12:15 p.m. Friday. He is required to make arrangements to see his children through a third party, according to a protective order the woman filed against him.